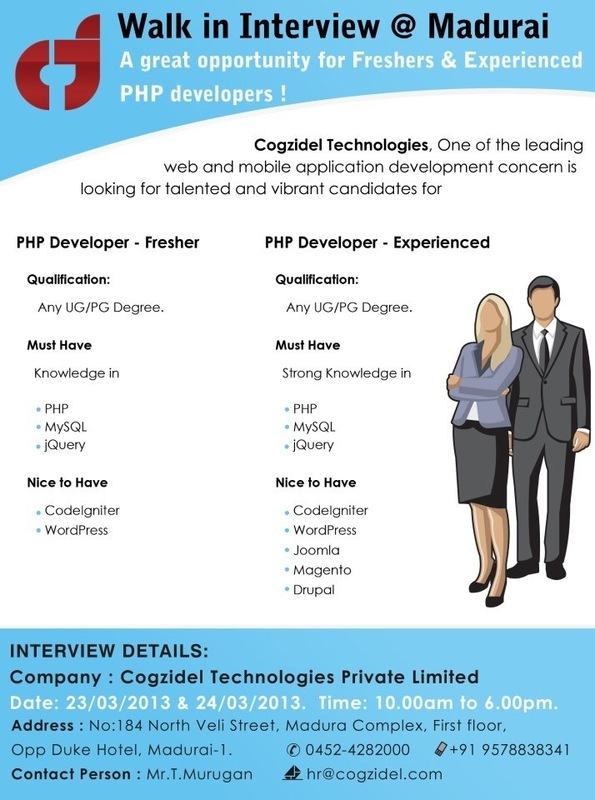 Walk in Interview @ Cogzidel Technologies Madurai!! A Great Opportunity for fresher and Experienced PHP developers! !